There are reams of information on the Internet about notifications and everything that goes along with using them. All that information doesn’t always come with a guide that you can reference when you’re in doubt. 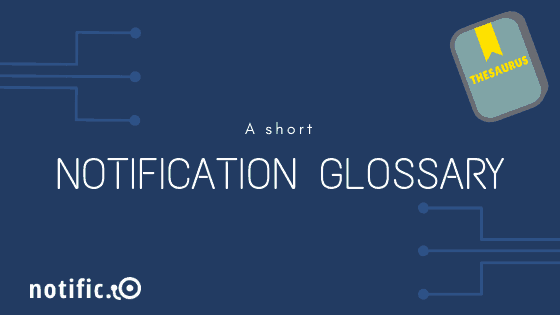 So here’s our short glossary on some of the most commonly used phrases and terms that every marketer should know. 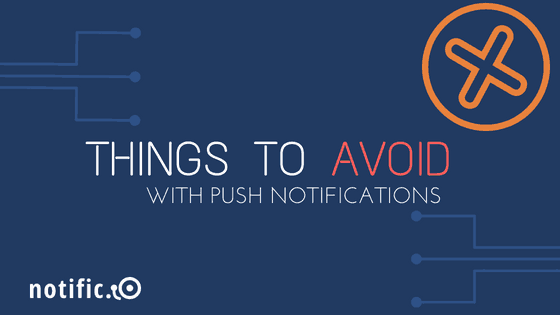 A push notification is a piece of communication that is delivered via a browser or directly on a mobile device. They’re sorta like email or SMS, but also not. 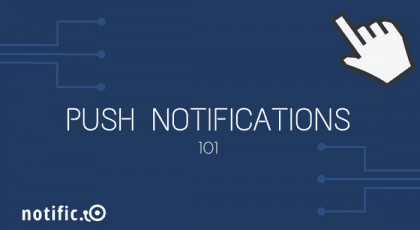 One difference is that push notifications don’t require a client-side request to be made in order to be initiated, which is why they’re also called server push notifications at times. The technology arrived first on iOS in the form of the Apple Push Notification service but is now available across operating systems and devices. There are two main categories of push notifications. These are messages that are sent from a website. Recipients don’t need to be on the website in order to receive push notifications from it; they can be delivered via a browser once users have opted in. Mobile push notifications are messages sent to a mobile device either from a website or an app. These messages arrive in the notification center and sometimes on the device’s lock screen. Only apps that are already installed on a smartphone can send mobile push notifications. You’ve probably figured this one out from the name, but we’ll spell it out anyway. In-app notifications or in-app messages are messages delivered inside an app. They’re different from push notifications in that users have to be using the app in order to see the message. The fact that these are seen once somebody is already using an app makes them a lot more effective than other forms of messaging. These work best when they are integrated with the overall user experience of the app. Given their differences, push notifications and in-app messaging necessitate their own bespoke strategies. Check out our primer on how to create dedicated strategies for each medium here. API stands for Application Program Interface. API’s let you access services or data from another application or operating system. They are an important tool in the world of notifications because there are a number of instances when your marketing efforts will be enriched by data from a third party. At such a time, being able to use an API to obtain that data is invaluable. It’s why Notific.io has its own API, which can be accessed easily via our PHP SDK. 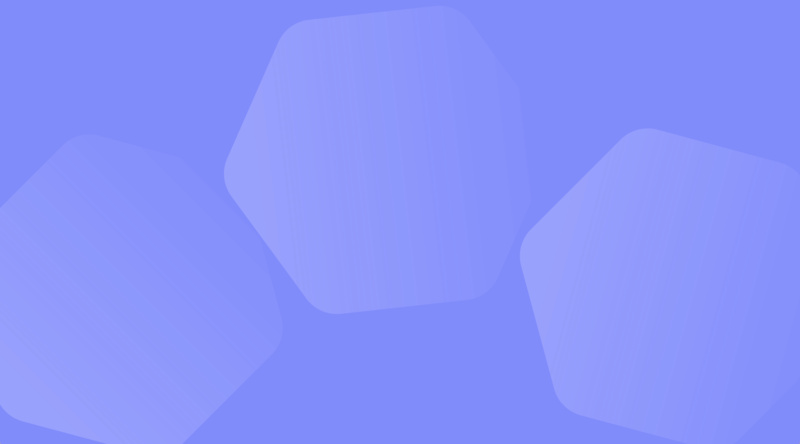 API’s are a powerful tool to access data, but marketers may not always have the technical chops or access to resources to make use of them. If that’s you, using a tool that has a wide range of integrations comes in handy. Just like API’s, integrations let you access data from other applications. This can make your campaigns more robust, since decisions will be informed by a wider range of data points. Notific.io comes with a variety of integrations and we’re always working on adding more. Here’s our video guide on how to integrate our notification system with MailChimp and Zapier. At the end of the day, marketing is a means to an end. That end differs based on the kind of campaign you’re running and the stage of the customer lifecycle you’re focusing on. But no matter what your goals are, it’s important to have yardsticks by which you can gauge the effectiveness of each marketing initiative. And that’s what conversion analytics are: metrics by which to determine how well a campaign is performing. There are two ways you could go about doing analytics; the first is manually. You would track different data points and crunch the numbers to gain an understanding of how well a campaign is doing. There’s also the option of using tools with built-in analytics, which is what Notific.io provides.